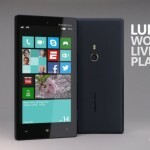 Created by Antonios Apostolou, the Nokia Lumia 830 concept is a beautiful smartphone, that ditches the Fabula design and adopts a new approach. 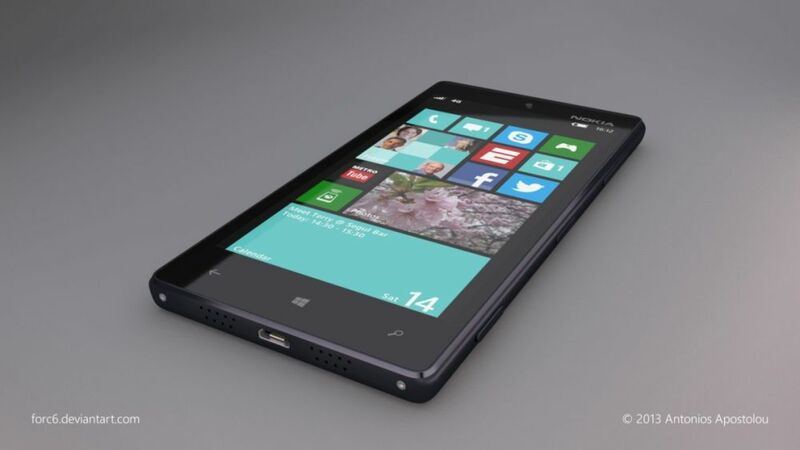 This mockup involves Windows Phone 8 and a bunch of specs listed below. 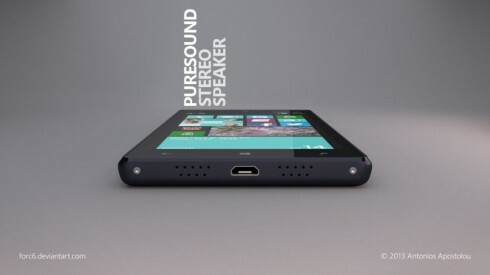 This is a Pureview Lumia handset with a rectangular design, a thin case and a set of speakers placed at the bottom, with the microUSB port and two screws, like on the Lumia 920. 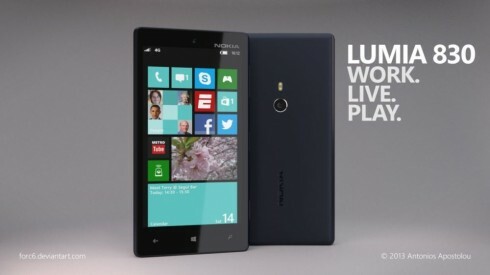 The Nokia Lumia 830 concept comes with Windows Phone 8 GDR3, a 4.5 inch AMOLED Pureview HD 720p display and an 8.7 megapixel Pureview camera at the back, while upfront there’s a 3.2 MP camera. 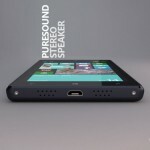 There’s also 16 GB of storage included, a quad core Qualcomm Snapdragon 600 processor and Puresound stereo speaker. There’s also NFC on board and the case used here is an aluminum unibody one, with a thickness of 8.1 mm. 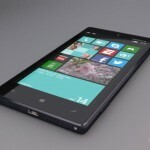 This is certainly welcome, after the huge Lumia 920… What do you think of this model?